I was up at 5 am, had my quiet time, fixed breakfast for the Mrs., fixed a light breakfast, and put my luggage in the car. I was lazy this morning! No treadmill! I had a few moments to work on new chapters for my new book on HEAVEN before leaving for the Longview Airport. Assistant Pastor Bob Queen was here right on time at 6:30 to take me to the airport. I flew an American Eagle flight to DFW where I caught an American flight to Columbus, Ohio. I will be preaching at the Heritage Baptist Church for Pastor Tracy Fowler. Also, there will be a rally Monday night at 7 pm. If you are in the area and can attend I will be looking forward to seeing you there. He is doing a great job of winning the lost to Christ. Pastor Fowler and his dear wife Reese were in an automobile accident a few weeks ago and are still recovering. Please pray for them for a healthy recovery. I was sitting in seat 6B on the flight to Columbus working on new chapters for my new books when the man sitting in seat 6E across the aisle through a piece of paper on top of my computer. It was a Gospel tract. 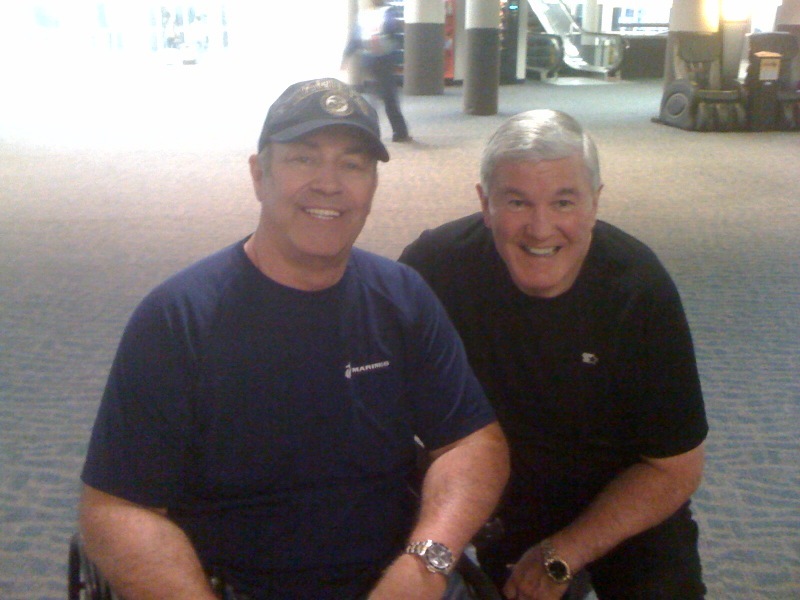 He had written on the tract, “This will tell you how to go to Heaven Brother Bob!” Signed Tim Lee. I was pleased to be able to see Brother Lee and talk with him. He is a true America hero. In a day when we hold up pro athletes as being heros we have forgotten who the true heros are in America. Thank you Tim Lee for your love for this nation and for your personal sacrifice! Gotta love this nation!